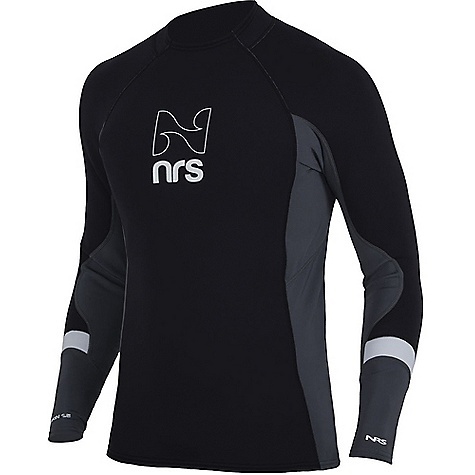 NRS Men's HydroSkin 1.5 Long Sleeve Shirt - The Men's HydroSkin Long Sleeve Shirt by NRS is designed for a snug form fit that restricts water entry and locks in your body's warmth. 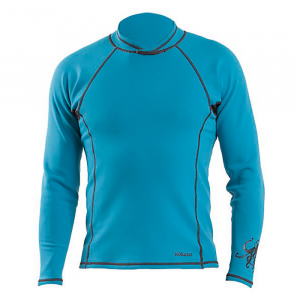 Made of 1.5 mm HydroSkin Terraprene neoprene with heat-reflecting titanium, this shirt provides substantial warmth without restricting your movements. 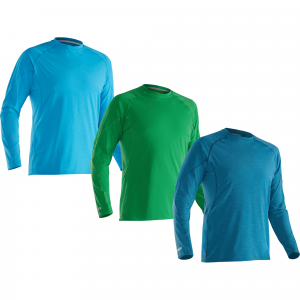 Thinner 0.5 mm HydroSkin panels under the arms reduce bunching for greater comfort. 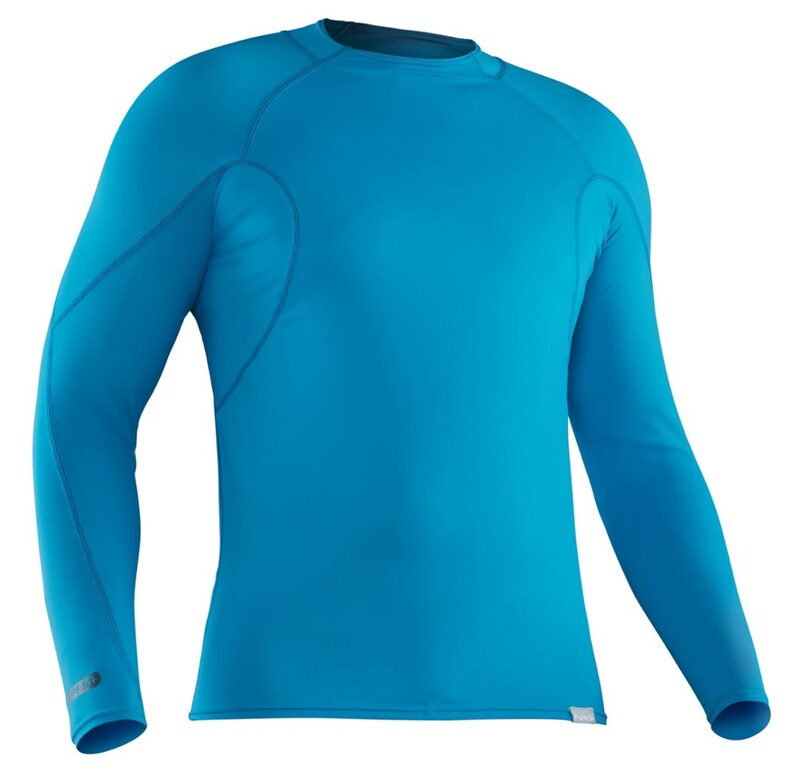 A 4-way stretch PowerSpan exterior stretches with your movements for unrestricted paddling while the VaporLoft fleece lining adds warmth, dries in a flash and feels great against the skin. A durable water repellent (DWR) exterior coating sheds water to help reduce evaporative cooling. The paddler-specific design puts seams where they won't cause irritation and discomfort. A convenient, and clever, side zipper that opens from the bottom of the shirt makes putting on or taking off the shirt a breeze. 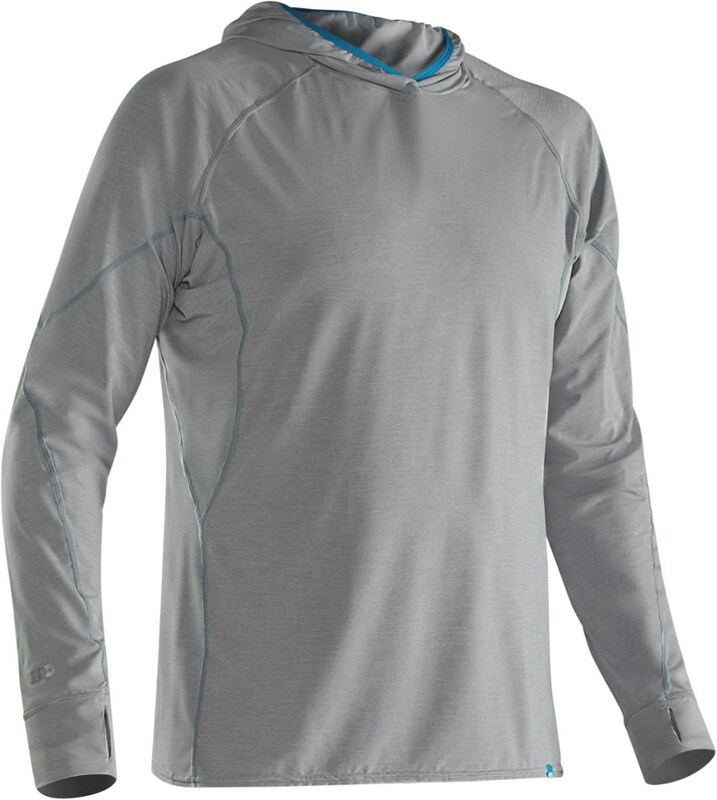 You will stay warm and comfortable in style with the NRS Men's HydroSkin 1.5 Long Sleeve Shirt. 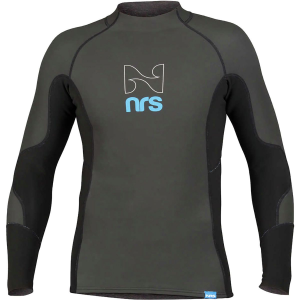 The NRS HydroSkin 1.5 Shirt is the thickest and warmest offering 1.5 mm HydroSkin, provides substantial warmth without restricting your movements or cramping your style.